A mobile GIS solution was deployed by Crossrail using easily customisable apps on mobile/tablet devices. Site boundaries and land ownerships were verified during Crossrail construction works to ensure health and safety regulation was adhered to. A cloud-based central repository ensured both site and office users had the current model enabling seamless data exchange and were able to utilise mobile capabilities such as photo attachments and on site GPS. Cost efficiency and benefits in ensuring data integrity during field operations were achieved in this mapping project culminating in substantial gains for Crossrail. This report is relevant to any project seeking to utilise mobile mapping technology or are in the field of land management. Throughout the construction lifecycle, Crossrail’s estate management system oversaw the handover process of land between client and contractor. The system enabled Crossrail to have visibility of successful land transfer, and to mitigate risk at contract end to the final land custodian. A corresponding component Geographical Information System (GIS) supported the process by enriching the tabular estate records with spatial intelligence. However, it became increasingly apparent that on-site spatial data needed to be validated and verified for assurance purposes. There was a risk posed to Crossrail that any incident occurring on Crossrail land not properly protected would be in breach of health and safety regulation. It was therefore paramount that land acquired by Crossrail and site boundaries was reconciled. Recent advances in mobile technology paired with the proliferation of GPS enabled smartphones/tablets now provide more cost effective opportunities to field personnel. A prospect Crossrail considered when developing a verification process for the inspection of Crossrail site estates. Proper defined process – determining the desired outcomes and identifying the key data to be collected for each stage of the project. Field environment – investigating the setting and environment users will be using the mapping tool, including factors such as mobile reception, terrain, and weather conditions. This will determine what hardware/software pairings are appropriate. User training – considering the target user’s ability to use mapping tools and identifying training requirements to ensure users are competent with tools. Aware of the benefits mobile technology brings (such as efficient on-site data collection, closer collaboration and visualisation of real-time events) a subsequent project to implement mobile mapping for land management was commissioned using ESRI ArcGIS Online. This secure cloud based platform enabled Crossrail to share GIS data to available staff in the field at any time, in any location on almost any mobile device. AGOL provisioned for real-time synchronisation with the cloud, met the user requirements set out below and allowed greater flexibility for choice of mobile devices to be used compared to rival platforms. User access to existing spatial datasets in current Estates Management System using mobile device. To allow seamless switching of data layers on a mobile map with a clear intuitive interface so issues can be raised with site boundaries. Able to incorporate data collection functionality in a dynamic environment and relay back to office staff. 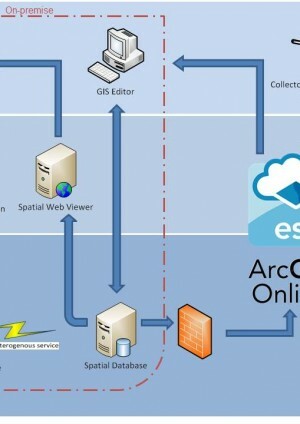 As a result, the ‘Collector for ArcGIS’ mobile app was chosen as the preferred option. The app was compatible with all major mobile operating systems, was free to download and met the user’s functional requirements. It also allowed customised maps specific for field data collection. By utilising domains and coded values in forms, data integrity was enforced and greatly simplified user inputs. The decision to proceed with a cloud-based solution enabled Crossrail to scale the project from an initial deployment of a few central section sites to programme-wide sites with minimal ease. Due to failover policies of a cloud environment a desired level of service was maintained at the lowest lifecycle cost to Crossrail. Considering the initial start-up phase where usage tends to be minimal, the cost savings were in the thousands of pounds. The first phase of implementation consisted of a pilot scheme to accurately set up the custom map and user groups so that the Estates team were satisfied with the layout and data collection process. Organisation accounts were setup for users so that they could gain access to the correct maps. A custom group for the Estates team was created within the Crossrail organisation account so that only these users have access to the dedicated map setup for this mapping project. This was so that datasets from the spatial web viewer and data collection layers by the Estates team were not viewable to the rest of the Crossrail groups. A dedicated hands-on training session was provided in order to familiarise the users with the mobile app. As the mobile app was deployed to a number of field personnel. Each would survey the map with their respective contract site. The responsible user upon visiting the physical site would swiftly recognise any incorrect site boundaries on the virtual map, and as a result the user added an event to the map. By leveraging the functionality of mobile devices, such as GPS to locate the event, photo taking as attachment items to provide as evidence and filling the event form with ability to markup geometry, allowed this information to be reported back to office almost instantaneously when synchronised with the cloud. Users reported that by using the mobile app, surveys were conducted without paper datasheet duplication and were faster than traditional methods. As the editable layers automatically synchronise to the AGOL platform every time an addition, amendment or deletion was made, all users could view what other users were creating out in the field almost instantaneously. Before these points and area comments were fed back to the office editing team to incorporate as changed geometry, an approval process was setup to verify the issues and changes made on the field by the mobile app users were fit for purpose. This was led by the Estates Data Manager. The connected environment enabled office based staff to have almost real-time information with a user friendly interface to resolve additional on-site queries. Working online through this common data environment meant there were significant time saving as a result of this method. Tied in with the ability to set security roles based on user groups, existing Crossrail data management processes were maintained and enforced giving an extra layer of protection. Despite the substantial cost savings in eliminating manual transfer of data through paper processes and improving efficiency of field personnel activities there were a number of lessons learned during the process which should be considered for any future development. Due to the decision of basing the mobile platform on a cloud environment, the difficulty of incorporating an integrated solution with Crossrail’s on-premise GIS enterprise platform was evident. In hindsight, a clear strategy was needed to show how mobile technology could be compatible with Crossrail’s IT network. This was not set at the beginning of the Crossrail programme and developed at a later date. Though this would have been difficult outlining the strategy given the immaturity of mobile technology when Crossrail began. Expanded functionality such as offline cached editing in a disconnected environment would have helped Crossrail immensely but for the drawback of limited memory storage of current mobile devices. Some of the larger Crossrail sites meant considerable pre-download of caches were needed which were impractical and required planning. As mobile technology improves with the advent of superior techniques for miniaturisation, the value of offline editing will increase exponentially especially in underground tunnelling projects that have little internet connectivity. Development into the realm of asset management for operations and maintenance would be the logical next phase for mobile mapping. By locating key infrastructure assets in the field and be able to automate tagging of locations would improve productivity in the field. To conclude the potential for using mobile devices (increasingly through Bring Your Own Devices to further minimise initial hardware investment) to support land management activities will grow. Through careful planning and accurate identification of desired outcomes, mobile technology will greatly support field operations in streamlining efficiency and ensure data integrity at source. 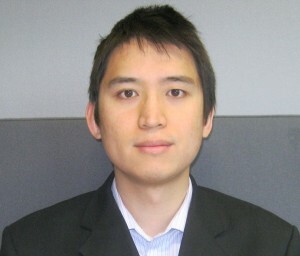 Mervyn Wan, GIS Technical Analyst, is responsible for the development and maintainance of Crossrail geospatial applications and their system interfaces to ensure project information, is available to the business. Before joining Crossrail, Mervyn has spent his working life on major infrastructure projects including 5 years with the ODA Delivery Partner as GIS Lead as well as providing geospatial solutions on projects at Heathrow and HS2. He holds a Masters in Mechanical Engineering from the University of Warwick.